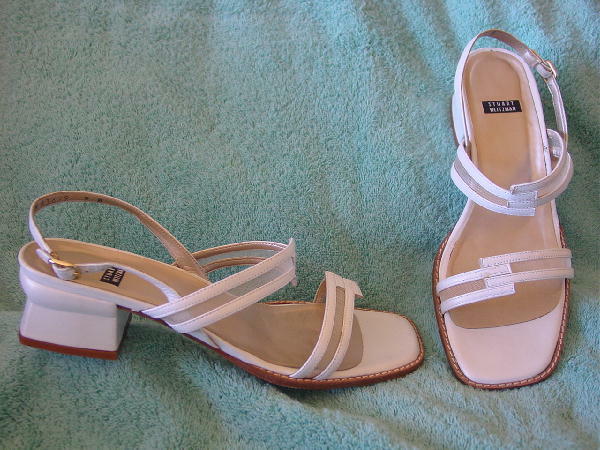 These pearlized white leather slingback sandals were made in Spain by Stuart Weitzman. The toe area is in white leather and the rest of the insole is in a champagne color. 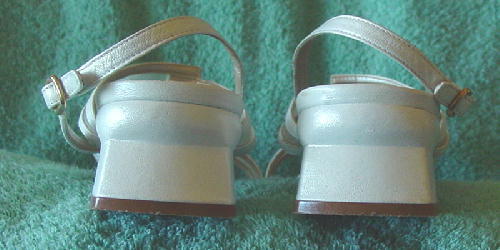 The top straps have a white mesh between each pair of white leather straps. The right shoe heel on the inner side has a scuff mark. They were worn for pictures for models' portfolios.